HF BOOK MUSE- NEWS: Maggi Andersen Here Today at C.C. and K Event!!! GIVEAWAY CONTINUES!! Maggi Andersen Here Today at C.C. and K Event!!! GIVEAWAY CONTINUES!! THE EXTRAORDINARY CLANDESTINE ACTIVITIES OF A NINETEENTH CENTURY DIPLOMAT. Charles Stuart, Lord Stuart de Rothesay, diplomat and part spy, and the Affair of Queen Caroline. Charles Stuart, Lord Stuart de Rothesay, (1779-1845) was a nineteenth century diplomat and spy, and has been a source of research for my Mayfair Spy Series, as he was involved in the political machinations surrounding key events in Europe during the 19th Century. Charles Stuart’s paternal grandfather, John Stuart, 3rd Earl of Bute, was one of the Secretaries of State in the days when those great functionaries controlled the country’s Secret Service, chiefly through the agency of the Post Office. As Prime Minister, Lord Bute is reputed to have brought the Seven Years’ War to an end by bribing Members of Parliament from secret funds. Charles father, General Sir Charles Stuart, was a distinguished solider. He could not rely on official sources of for intelligence; the Army had no intelligence service, as such, until 1803, when the Depot of Military Knowledge was up; and he learned to provide for himself. Charles was at Eton in 1795 and went up to Christ Church, Oxford in 1797. Later, at Glasgow University, he met the future Lord Chancellor, Henry Brougham, and they travelled together to the Western Isles and Iceland. Charles’s father, General Stuart, died in 1801. Charles considered law and politics before Lord Hobart found him a place in the Diplomatic service. It was not until 1820, that his diplomatic skills were called into play in dealing with Queen Caroline. Caroline of Brunswick-Wolfenbüttel (Caroline Amelia Elizabeth); was born in May 1768. Her father was the ruler of Brunswick-Wolfenbüttel in modern-day Germany, and her mother, Princess Augusta, was the sister of George III. Caroline and George, Prince of Wales were married on 8 April 1795 at the Chapel Royal, St. James's Palace, in London. It was not a marriage made in heaven. Shortly after the birth of their daughter, Charlotte, the couple separated. In 1806, Caroline was accused of having affairs and had her access to her daughter restricted. She subsequently left England to live abroad. In 1818, when she was living at Pesaro, Italy, Prinny sent a team of lawyers to Milan, where they interviewed potential witnesses who were subsequently brought to London for the trial. In 1819, angry and humiliated, Caroline planned to return to England to challenge the Prince. When Henry Brougham, her chief legal adviser, counseled caution, she arranged to meet him at Lyons. Charles was well aware that Caroline’s appearance in England would be most unwelcome to the Prince and his ministers. The Foreign Minister, Lord Castlereagh was instructed that she was not to be given any special attention as Princess of Wales when she travelled through France. When Caroline arrived at Lyon for the rendezvous with Brougham, she found he had not come. She turned back. In January 1820 in Leghorn (Livorno), she learned that King George III had died, and she was Queen. Castlereagh suggested to Charles that he should find some way of preventing Caroline from crossing the Channel, perhaps with the help of the French police. But no record remains of it. Brougham, who was playing a double game, now urged Caroline to return to England at once. He met her at St Omer, and she crossed the Channel on 5 June 1820. Caroline was cheered by crowds everywhere. Aware of the King’s unpopularity, she made a bold bid for popular support. 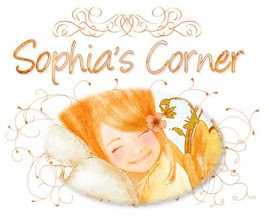 She was determined that she should be recognized as Queen, but the King was equally determined that she should not. No compromise was possible. The Landing of Queen Caroline at Dover to claim her rights. King George IV stated that Caroline was to enjoy no queenly rights and privileges. He had begun collecting various damaging documents that would show his minsters the kind of woman she was, which he placed in a notorious green bag, intent on using it against her in divorce proceedings. Her relationship with Bartolemeo Pergami, an Italian engaged initially as a courier would come under scrutiny. Caroline had bought him an estate in Sicily, which held the title Baron and appointed him her chamberlain. There was a strong rumor that they were lovers. George was determined to bar her from his coronation. He wished to get rid of her, but his ministers were anxious to avoid a divorce. They were afraid that in the process, as much mud would stick to him as to her, and the monarchy itself might suffer. Charles arranged to have Pergami watched by the police until he left Paris in July, and evidently heard nothing about him that he thought worthy of being passed on. They were difficult instructions to follow, but Charles obtained information within the week. Kepel Craven, one of Caroline’s vice-chamberlains had heard it said that Pergami had been castrated. When Charles questioned Pergami on the subject, the Italian readily agreed. He had suffered frostbite on the retreat from Russia. Charles could find no proof to satisfy the Prime Minister, Lord Liverpool. His last letter dated 3 October stated that he had several agents working on the case, and there was no doubt that Pergami had lived with a Mme Ebênes in Paris with the consent of her husband. But beyond board and lodging, no proof of adultery could be proven. And Pergami’s daughter, Vittorine was conceived before the retreat from Moscow. Lord Liverpool groped into the deepest recesses of the law, and the government resorted to an old parliamentary maneuver, a Bill of Pains and Penalties, the second reading of which would be tantamount to a trial; and, if passed by both Houses of Parliament, this would deprive Caroline of her status as Queen and end her marriage to the King. At the trial, Caroline’s lawyers’ claim that Pergami was rendered impotent from frostbite did not impress expert medical witnesses as proof or evidence of impotence. It was generally agreed that Caroline had committed adultery with him and others; but it was also generally agreed that the King and his ministers were equally reprehensible in their dealings with her. The bill was given embarrassingly weak support, and it was withdrawn. The Queen returning from the House of Lords, 1821. Queen Caroline was never given the recognition that she craved and died less than a year later. Maggi Andersen is a historical romance author. Her Spies of Mayfair Series is available on Amazon and her Website. Source: PRIVATE & SECRET The Clandestine Activities of a Nineteenth Century Diplomat. Robert Franklin. Please leave your comment and email to enter. Be sure to COME BACK TOMORROW FOR MORE!! I am surprised that crowds cheered Caroline everywhere, when she returned to England. I always thought, that she was thought of as a despicable. lowlife woman. Thank you for the giveaway. She was more popular than the king, Denise, which might not have been so difficult. I have been reading some about Caroline recently. She was something else. She was indeed. She features in the third book of my Mayfair spies series, What a Rake Wants with a little known fact. If ever there were a controversial queen consort, Caroline fits the bill. Having read bits and pieces about her, I'm still confused as to the "real" Caroline. She was very hard to pin down, Linda. Quite strong, I suspect, and somewhat lusty. I love that you do so much research before writing your books! My husband loves to read history books as well as historical fiction and is always amazed at the history I've learned by reading your books! We had made a trip to England and Scotland many years ago and one of the places we had to visit was Glascow, were my family immigrated from to come to the US and one of them had gone to Glascow University around the same time that Charles was there. I doubt they even knew each other and my ancestor was called back to his family home before finishing because of "happenings" in the area where he lived! Since other ancestors were born and bred in England I always have wondered how such unlikely families ended up being married to their enemies from another time and place! 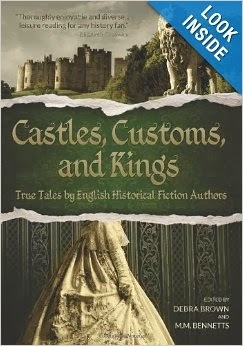 Castles, Customs, & Kings, True Tales by English Fiction Authors sounds like a book both my husband and I would love to read and I can't wait to have conversations with him at the dinner table about what we've leanred! I forgot to leave my email on above! So many of us have our roots in Britain. Lovely to have someone to share your interest, Jeanne. "Power tends to corrupt, and absolute power corrupts absolutely, " as Lord Acton wrote in 1887.
please enter me for this giveaway! !